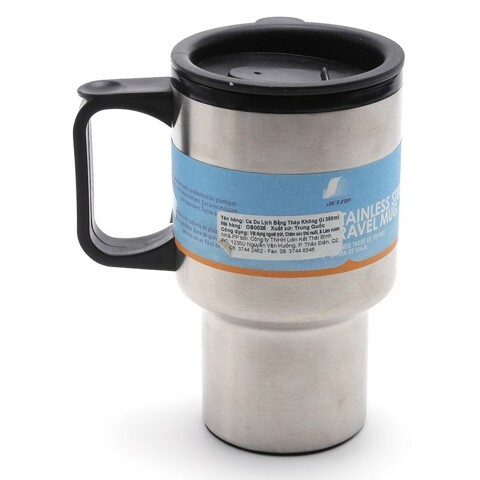 Travel Mug St. Steel 390Ml. 14cm H x 8.5cm Top Diam l 6cm Bottom Diam.. Silver W/Black Lid . Stainless Steel | Plastic Lining | EVA Base. 160G Packaging: Bulk with Wrap Label.